I wanted to do a post saying I’m sorry for disappearing for a couple of weeks on all of my readers. I appreciate everyone’s support and value all of my followers. Last week I had a lot going on and have been working on getting a new job. I didn’t end up having time to do any features or catch up on reviews but I had planned to be on top of things this week. Then events happened and as you can see that didn’t happen either. On Sunday I began having allergic reactions to something I either touched or ate, I’m still not positive. I ended up going to the hospital on Monday but I need to see an allergist. I had another reaction that night, so I think it is something I’m touching in my apartment. I have also been fighting with my doctor’s office to get a referral to an allergist. 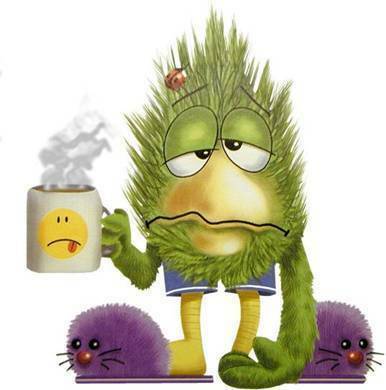 I have not been well at all this week and have been struggling to finish an author request review for a blog tour on time. I just barely managed to do that. My head has been so fogged up I haven’t been able to concentrate on reading or much of anything else recently. I’m feeling a little better and haven’t had a reaction in a couple of days and am hoping to avoid having any more. I wanted to tell you all what is going on and I hope to start getting back into things next week. If I still don’t well this is probably what I am battling. Thank you all for sticking with me and I hope to be back blogging on a regular basis again.